At 79 years of age and having lived an entire life fighting for peace, conveying the message of love and harmony amidst the chaotic fight for defending his beloved Tibet, Dalai Lama can well go on for an indefinite break. But, on the contrary, the 14th Dalai Lama Lhamo Dondrub, tirelessly leads his vigil against the ills that have counterfeited the ethos of true peace and serenity at his homeland Tibet. Often coming under merciless and brutal attacks of the not so friendly but highly mighty China, Tibet has remained part myth, part at the drop of mercy of the ruling Chinese who are relentless in their pursuit of territorial expansion. 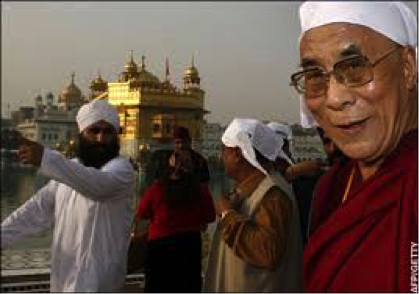 The Dalai Lamas are known as the patron saints of Tibet and are widely regarded as the Bodhisatva’s of compassion, named after the great disciple of the same name of the enlightened one: Lord Buddh. But, in a life spawning 7 decades on planet earth, spent usefully, NO, dutifully towards selfless service to his homeland of Tibet, if there is one final wish that the great Lama would want for his country, then it would simply be restoration of peace back at home. Giving Shelter or supporting Peace? Shelter is a pretty bad word associated with the ills of not being able to find a harmonious place of permanent stay and therefore, India is widely criticized and mostly unjustly for giving a “shelter” to the 79 year old messenger of peace, when it becomes absolutely impossible for the man to visit Tibet. Whether we are doing a great thing by extending all possible support to a man of spotless character, immense integrity and great worldwide regard, is often discussed and debated over in mindless foreign policy shows on television that seem to cement the belief that China sees India as an ally not as an enemy and therefore should India continue to offer home to the great Lama shall only be construed as a thorn in Sino-India relations. In all due respect and regard to the herculean economic force that China is today, India is proud to be a peaceful, non demanding neighbor that wishes to support total harmony at all costs and extends great regard to each of its neighboring country. India takes pride at never being at the center of a war in a quest for territorial expansion and invasions and needless fights haven’t been our motto since the time of the inception of the idea of Bharat. In fact, what makes India a place the Dalai Lama seeks to visit again and again and what stalwarts of international prominence like the late Mother Teresa and the Aung San Suu Kyi have always adored is the fact that we are the breeding ground of ideas, love, care, warmth and importantly compassion. Therefore, for us a Chinese citizen is just as important as a Jew who comes here and sees in India a place called home. The Dalai Lama, we are sure would nod silently in approval since being verbose or engaging in politically correct diatribe isn’t his hobby. 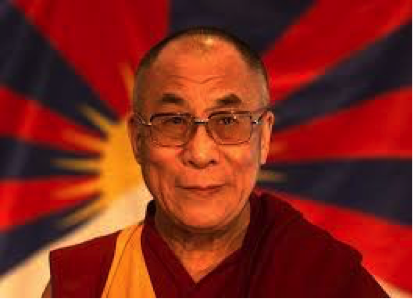 Today, amidst an unruly terrain that the peaceful Tibet seems to be riddled with, the 14th Dalai Lama has done much in a staggering life that still wishes to remain stranger with the term political “career”. It was never easy to walk up to Mao Zedong in 1954 and convene peace talks regarding China and Tibet in a bid to salvage some sense into the rising rift between the two countries. But, in 1959, things turned sour and took a bad turn following the merciless crushing of the Tibetan national uprising by the Chinese troupes in Lhasa. Since then, the Dalai Lama was called in as the political leader of a country seamlessly running for some search of democracy and neighborly acceptance, a facet that governs his life to this day. Lack of any democracy and any administration in his homeland saw the Dalai Lama present in 1964 a democratic constitution draft for Tibet. While he continued to run from pillar to post in a bid to warrant some peace for Tibet, a major breakthrough was initiated by his solo efforts in 2001. With the election of Kalon Tripa, the senior most member of the Tibetan cabinet, this was to be the first time ever that the country had elected Tibet’s political leadership. Other initiatives and movements like making Freedom of Speech in Tibet an acceptable norm and respect to those living in exile continued to fan his Holiness’ flames. A significant year for his holiness was to be the year of 1987. This was the first time ever that the great Dalai Lama would address a packed house in the New York city at the most prestigious upper echelons of peace and human rights: the home of United Nations. He presented a 5 point peace charter for Tibet that argued for the country to be declared a zone of peace, condemnation of China’s people transfer policy that threatened the existence of Tibetan people as a whole. It further called for recognizing talks between Tibet and China for as critical for the future recognition of Tibet and the optimism in betterment of relations between the two countries. The central pivot of the Lama’s charter was the demand for ruling Tibet out as a zone for China testing its nuclear program. By now, he was a worldwide figure of great significance, not solely for the cause of protection and existence of Tibet but for the collective onus his non violent methods had produced in protecting, bettering and promoting peace. 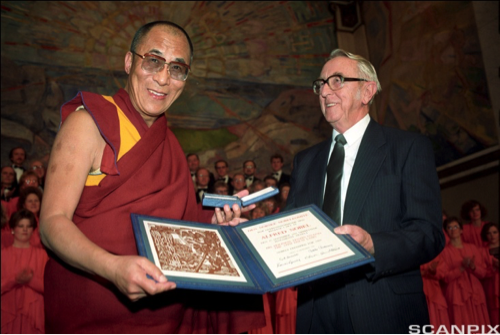 He was conferred with the Nobel Peace Prize in 1989 for his heroic efforts is saving, protecting and liberating the cause of Tibet. 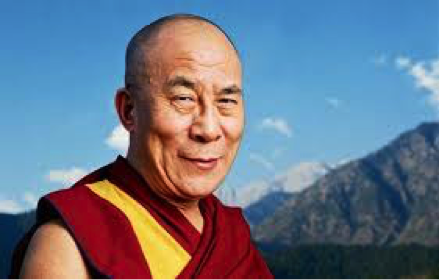 But what not many know about the gentlemanly saint of peace is that it was the 14th Dalai Lama of Tibet that lead the huge uproar toward global environmental problems. Since then, his books, conferences, talks, spiritual exchange with world leaders of great decorum and might have enhanced not just the need, want but desire for peace as a permanent instrument of mankind and its liberation. Why the drifting journeys between the hearts that can understand love, then why this hate?